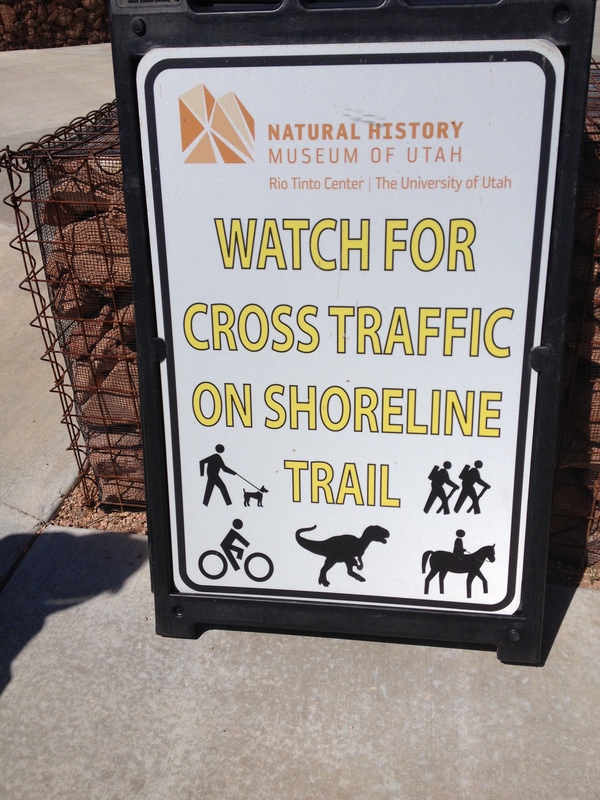 This entry was posted in As I see it, Humorous Essay and tagged Dinosaur, humor, Lake Bonneville, museum, Natural History Museum of Utah, Paleontology, Rocky Mountains, T-Rex, Utah by Jodi. Bookmark the permalink. I love it when the bureaucracy allows for a little humor. When I was a kid we lived in Roosevelt, Utah and often visited the Dinosaur Museum in Vernal. We got our T-Rex hunting licenses there. The nearby Dinosaur National Park was also a favorite place. My father taught my brother and I how to hunt for the wily beasts. Whenever we went camping we made sure to bring an extra pillow case, a big soup ladle, a large pot lid and a flashlight. Dad called it “Snipe Hunting”. I think we are the reason dino’s are extinct. We scared ’em to death. Your dad sounds like a great guy. I was taken snipe hunting a few times over the years, great memories.